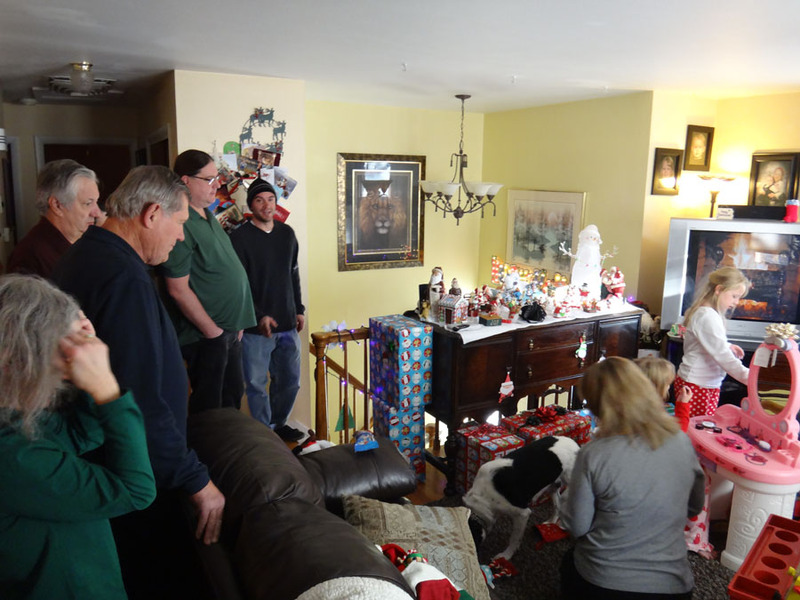 Mike's sister and her hubby hosted us, Mike's parents, my parents, and my bro for breakfast on Christmas morning. 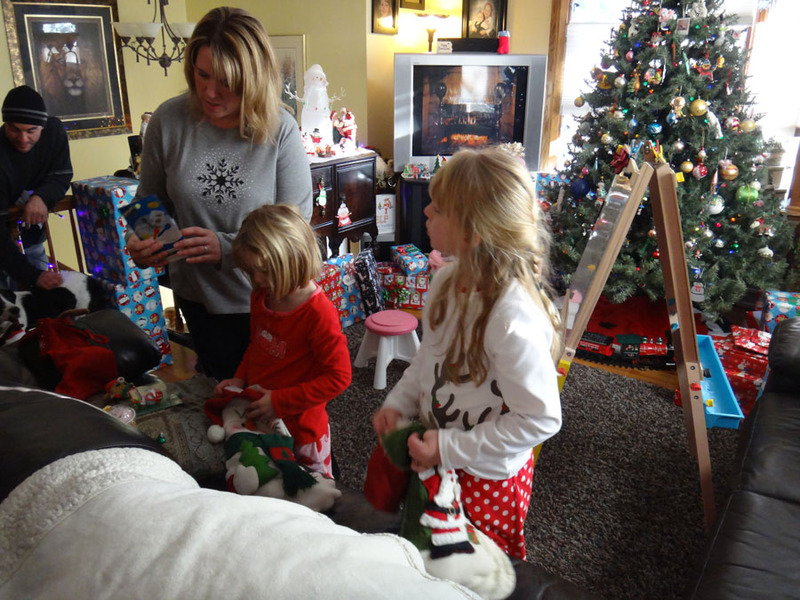 and there were presents a plenty for Maddie and Val! 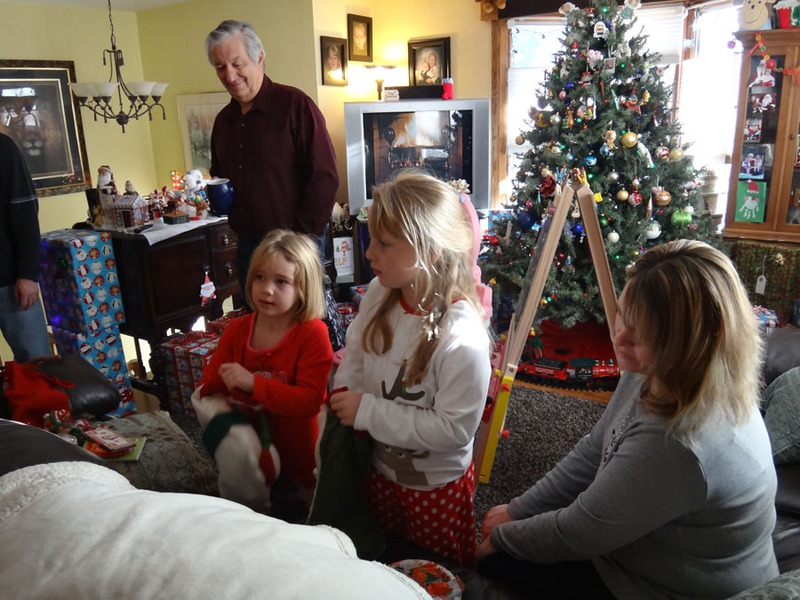 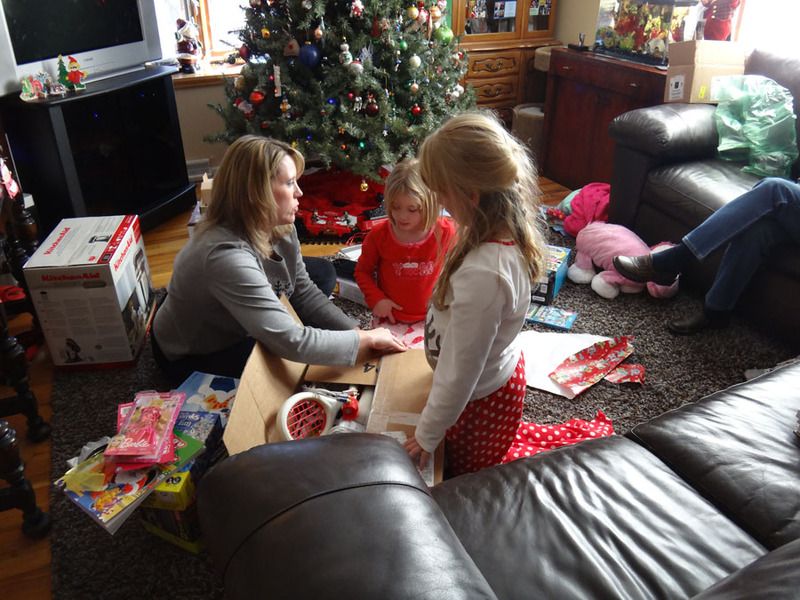 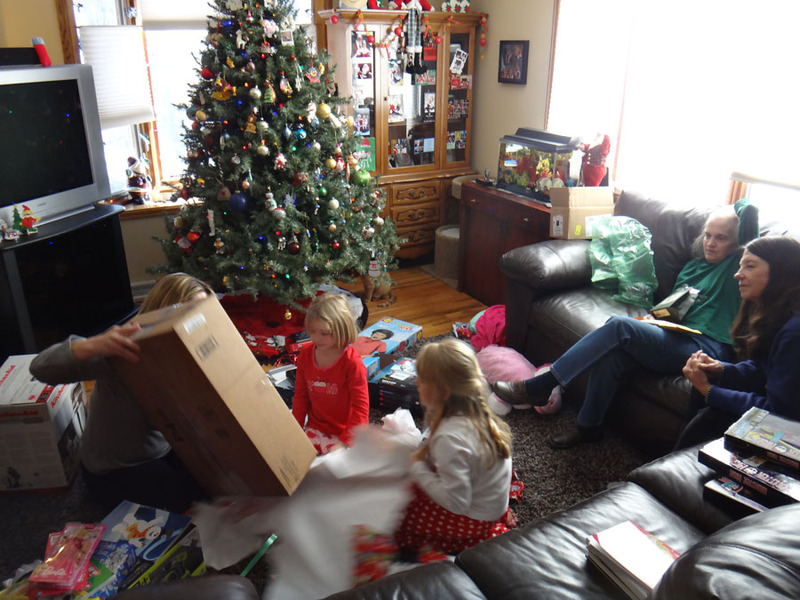 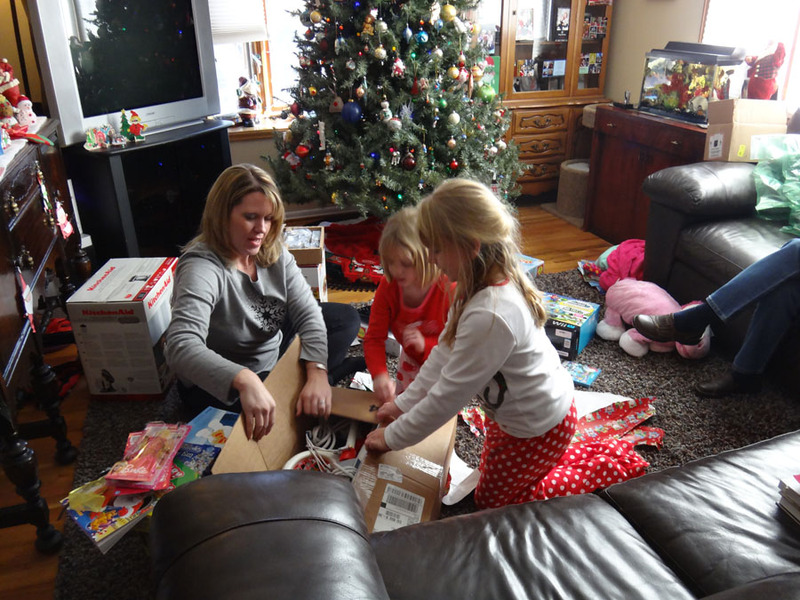 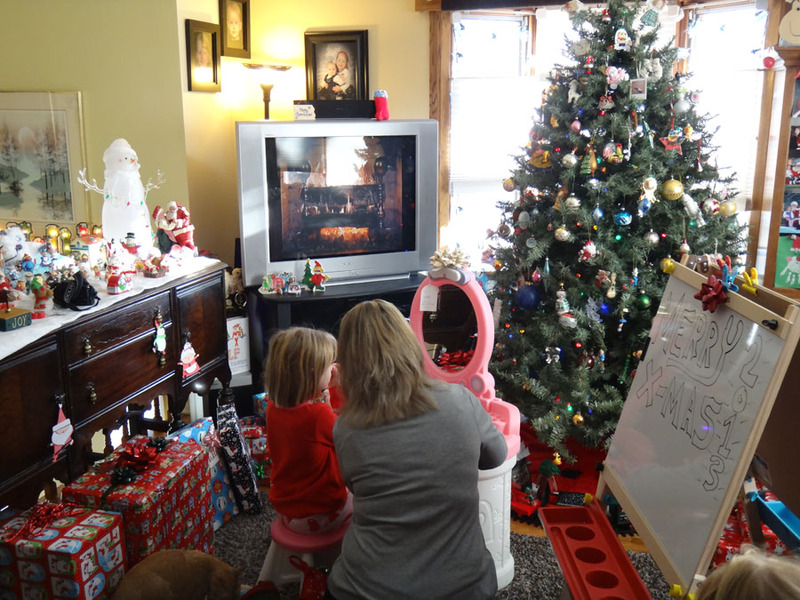 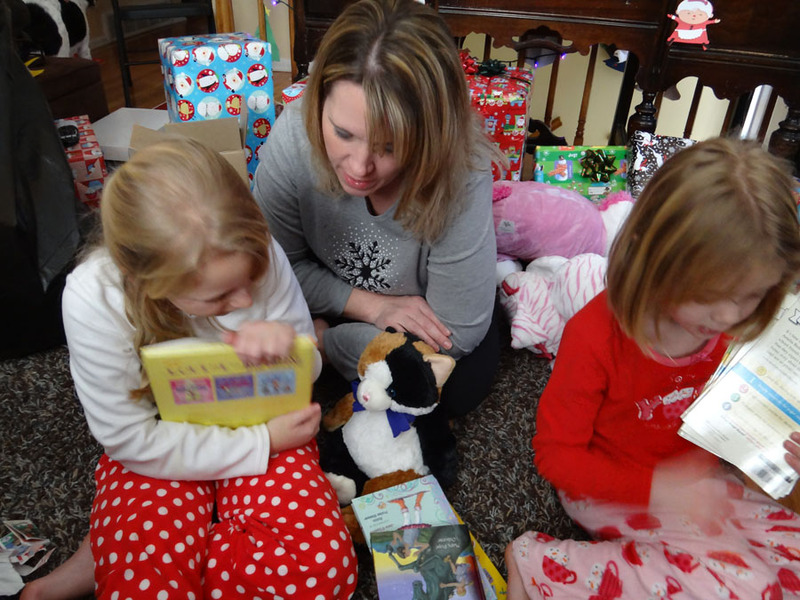 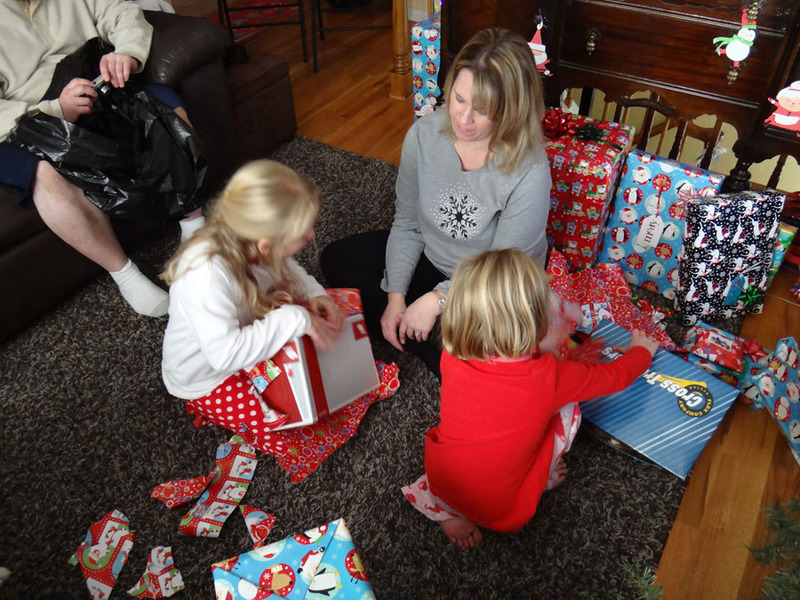 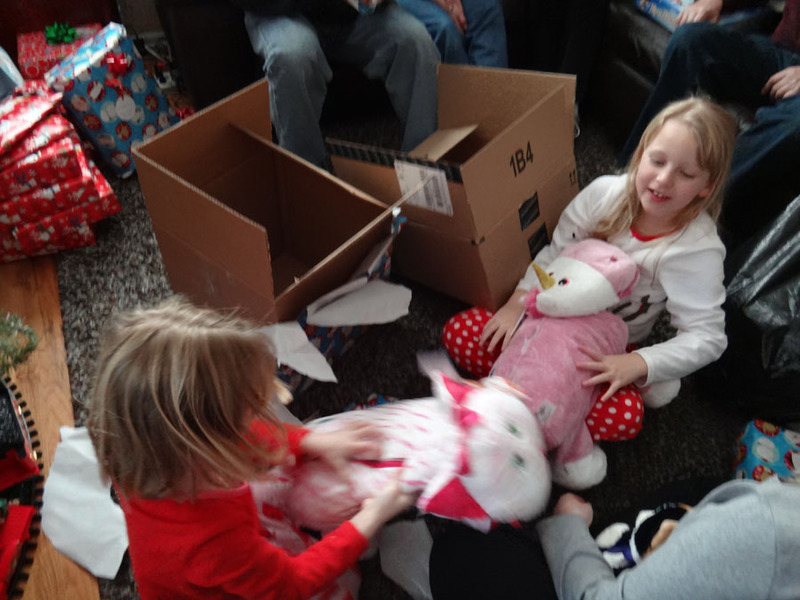 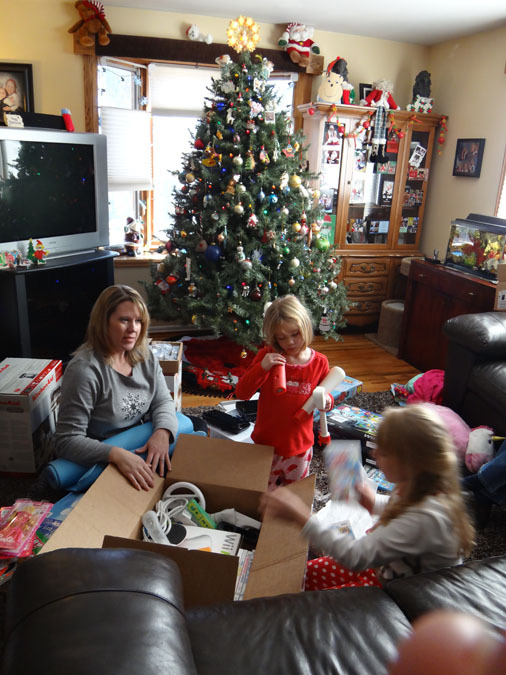 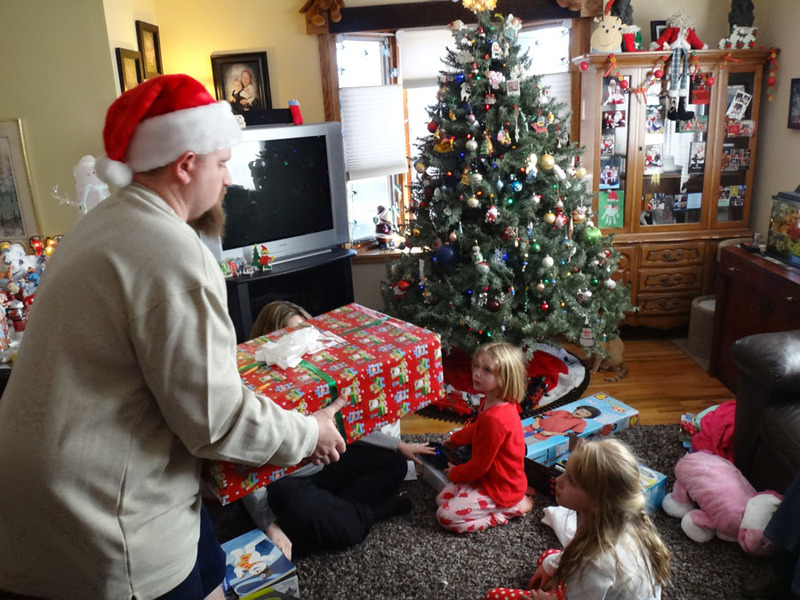 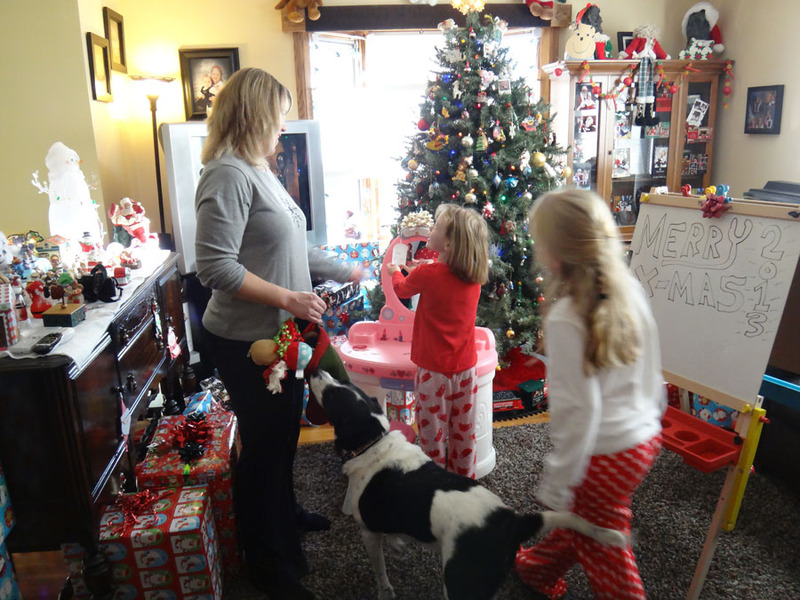 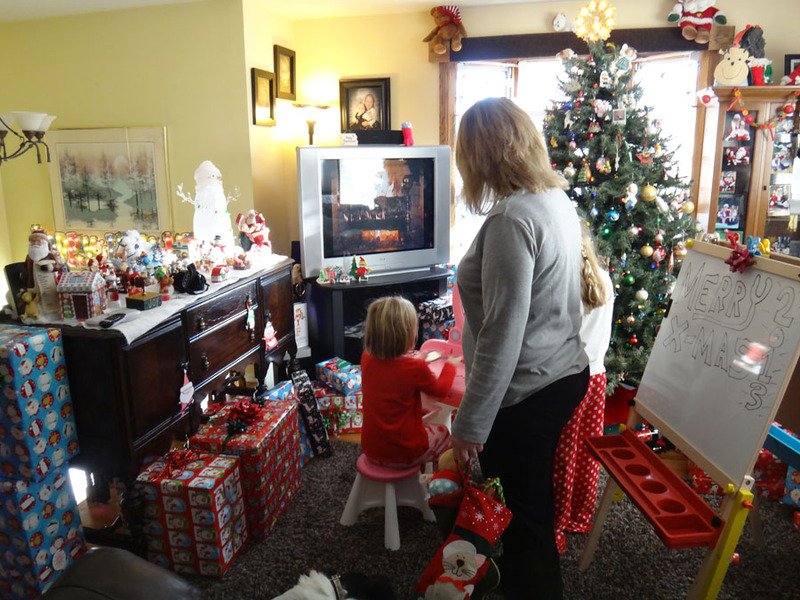 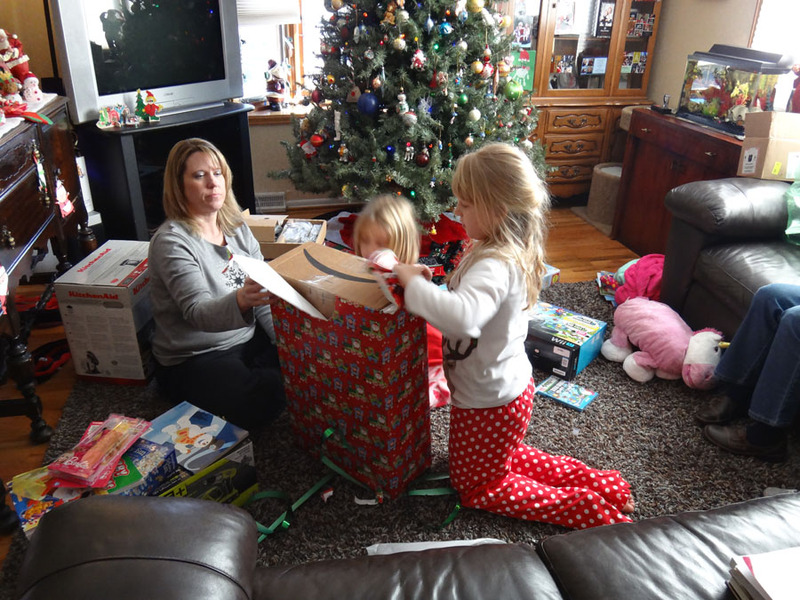 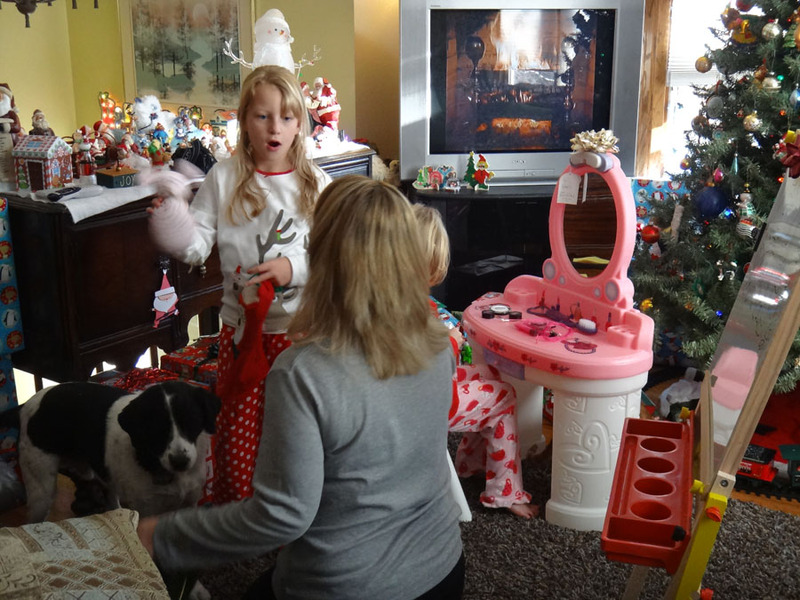 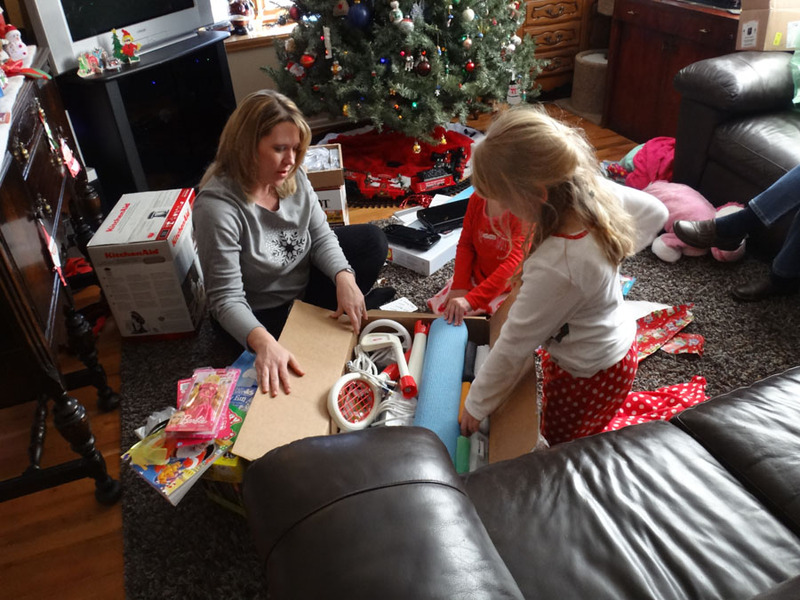 Rannae helps Maddie and Val with the two big gifts and stocking before breakfast. 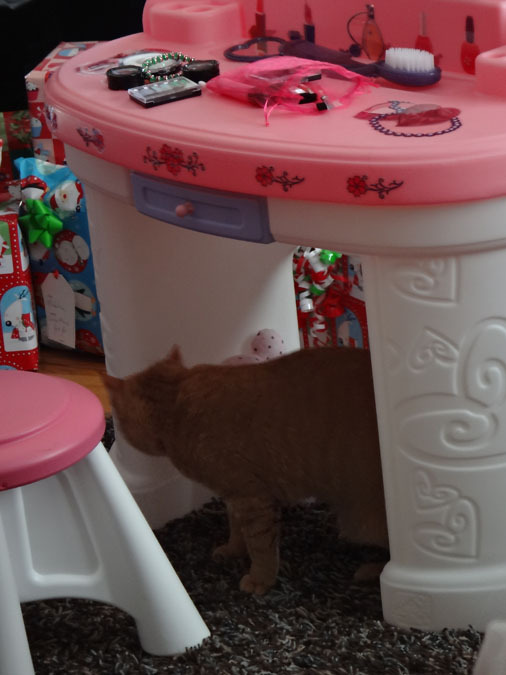 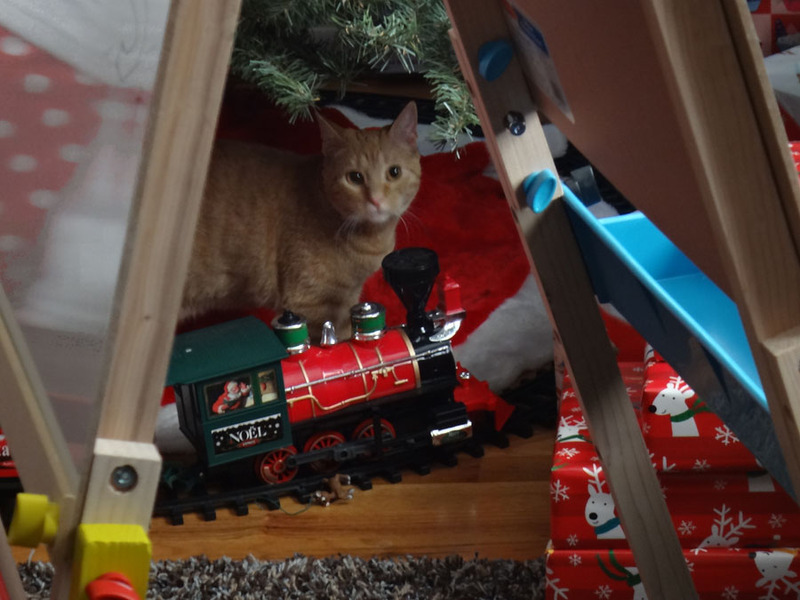 Peaches, the kitten Rannae got for her birthday, quietly enters the scene. 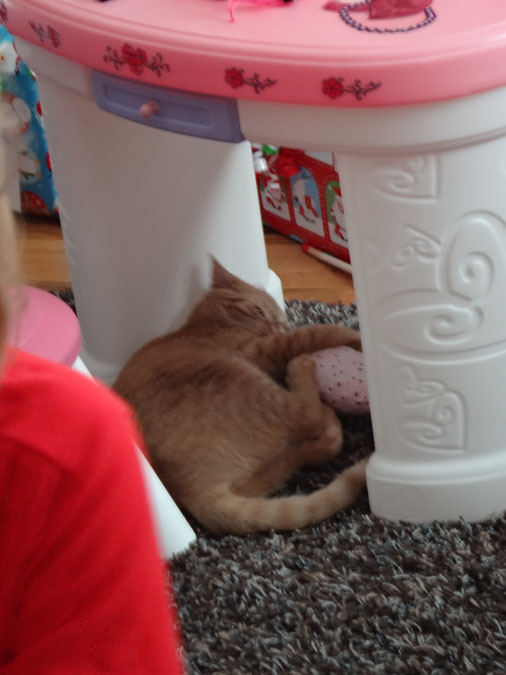 Peaches likes her catnip toy! 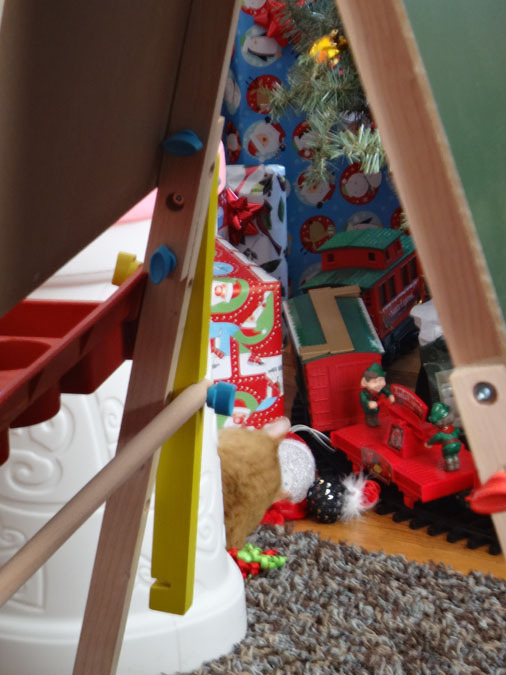 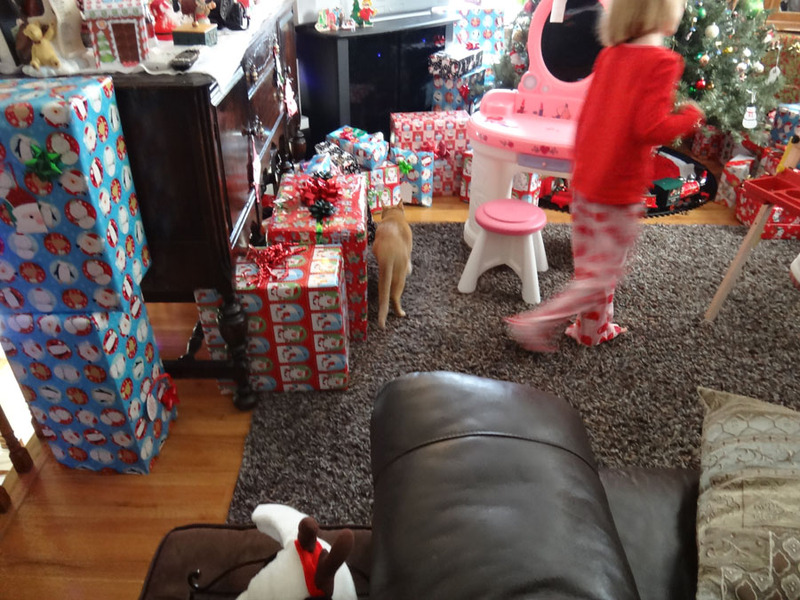 After breakfast, it's time for more presents! 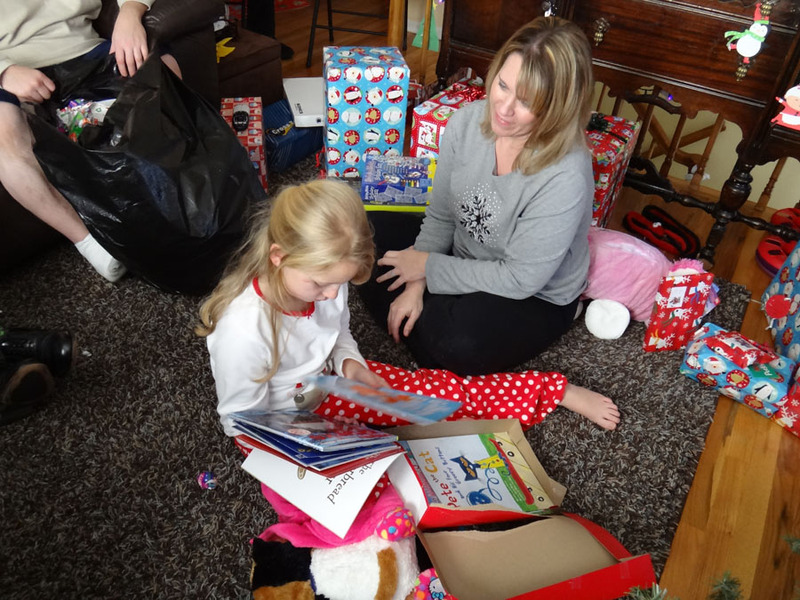 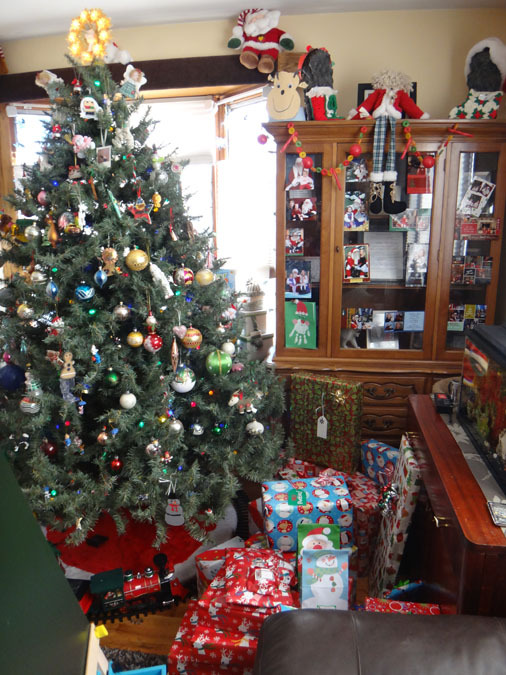 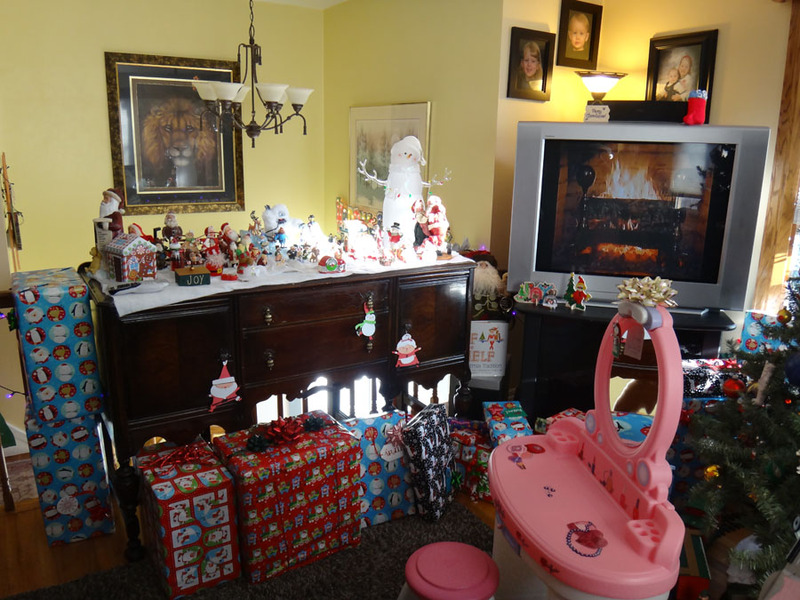 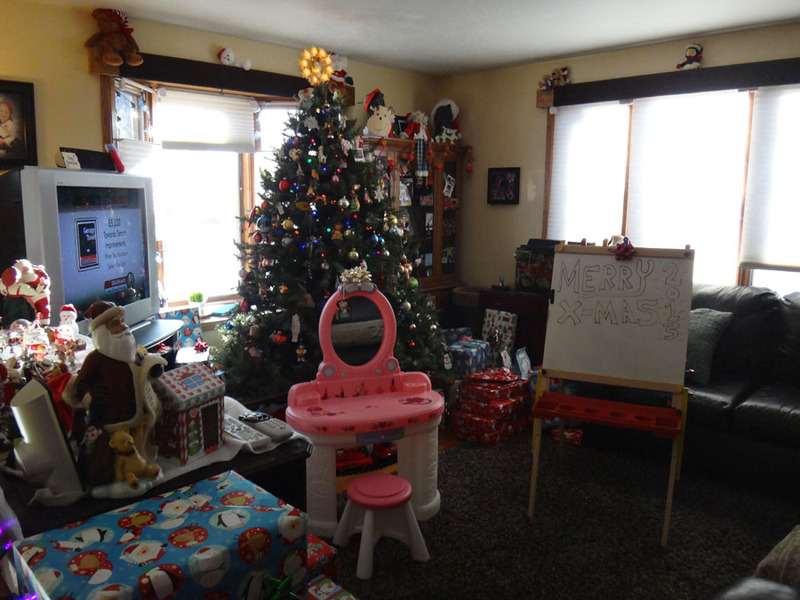 Every adult gets one gift through the draw - the rest are for the girls. 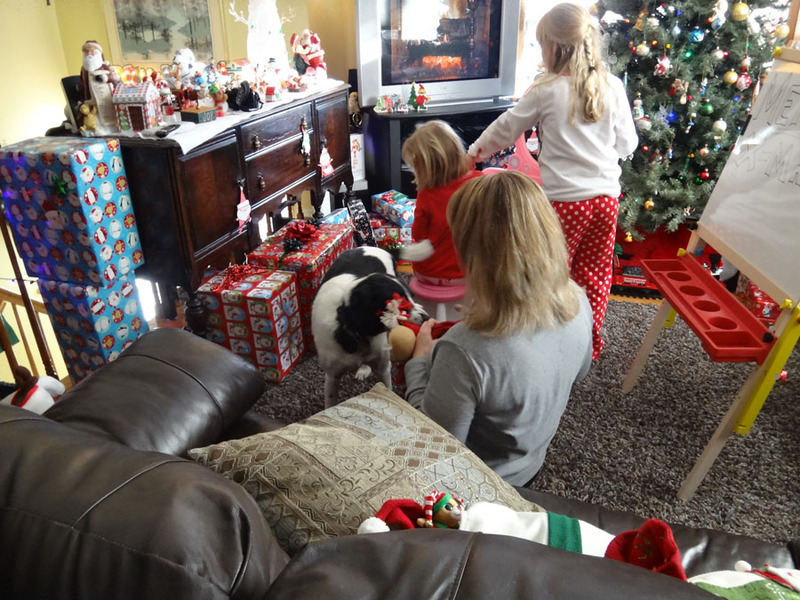 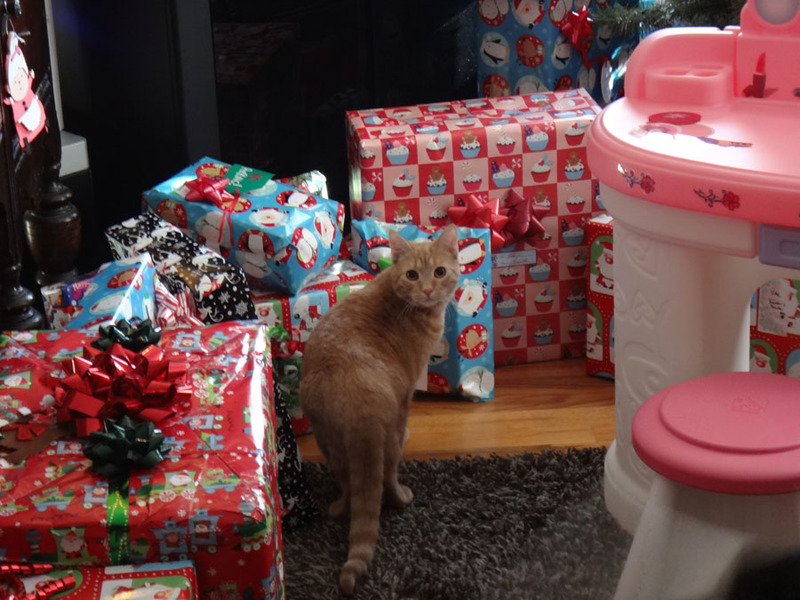 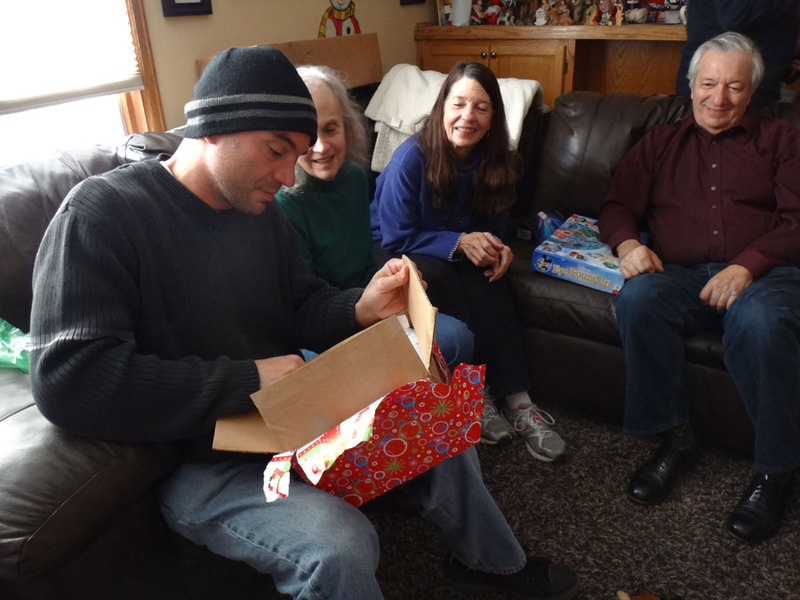 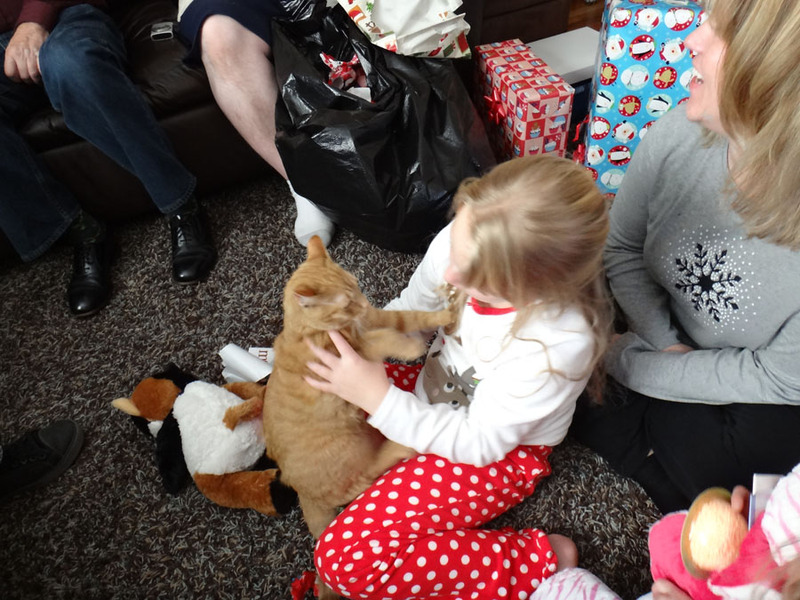 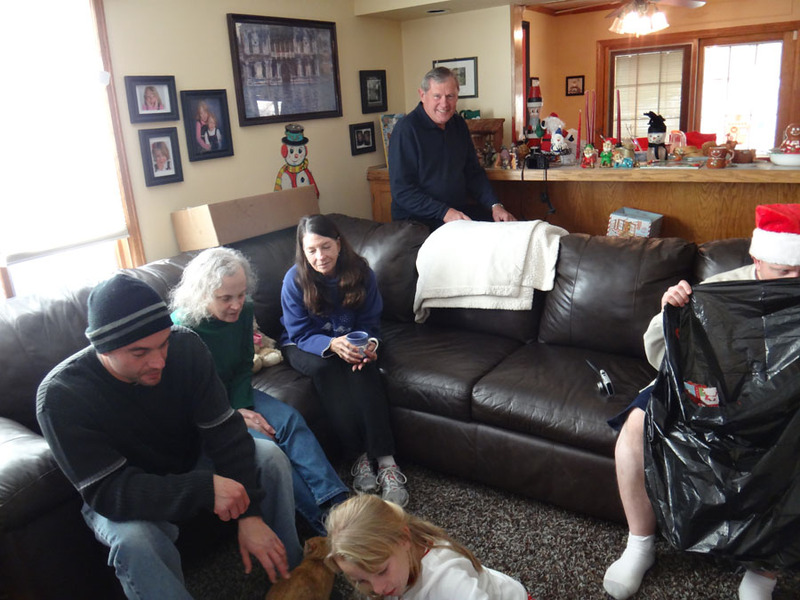 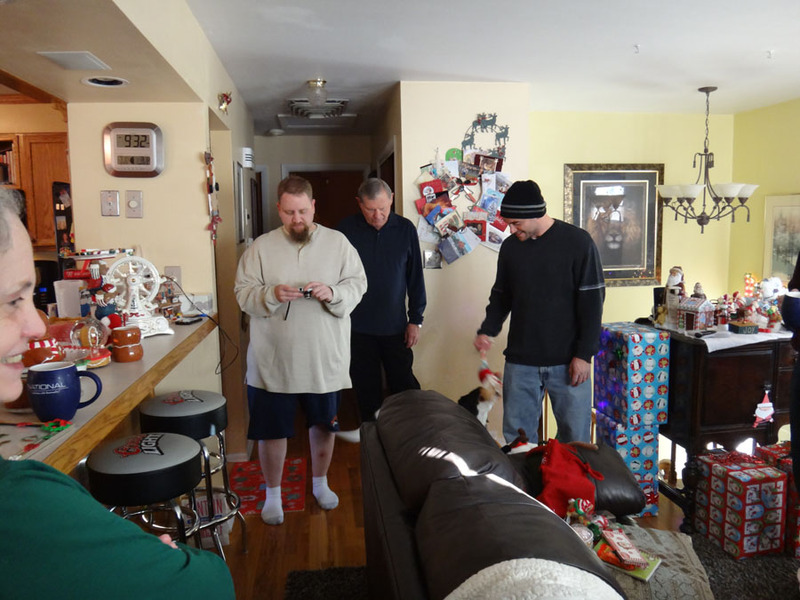 Peaches visits my bro and mom, Gwenn watches Maddie open gifts, Terry's happy, and Rob is hiding from me. 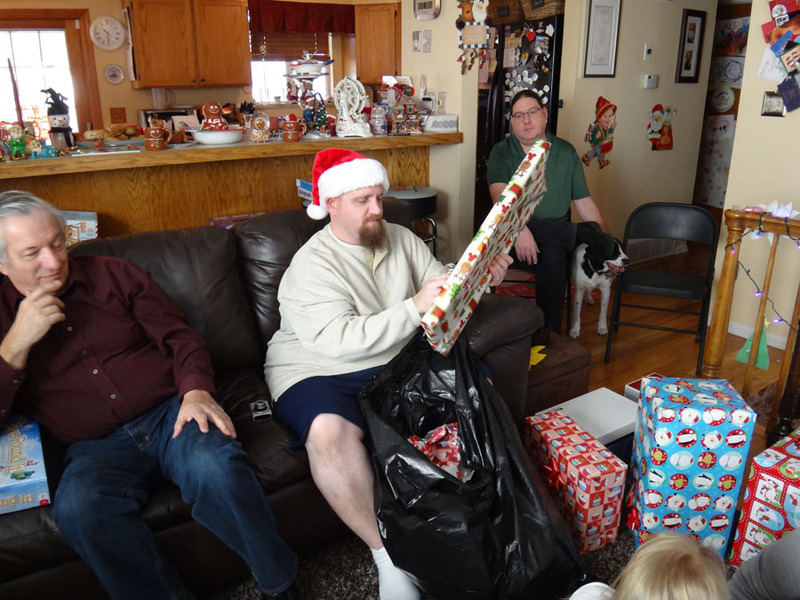 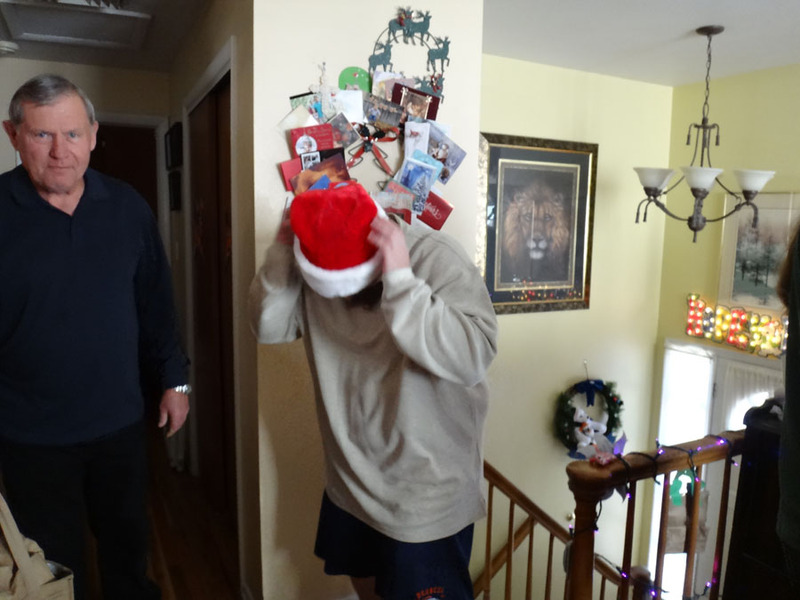 Rob can't hide from me while opening his gift. 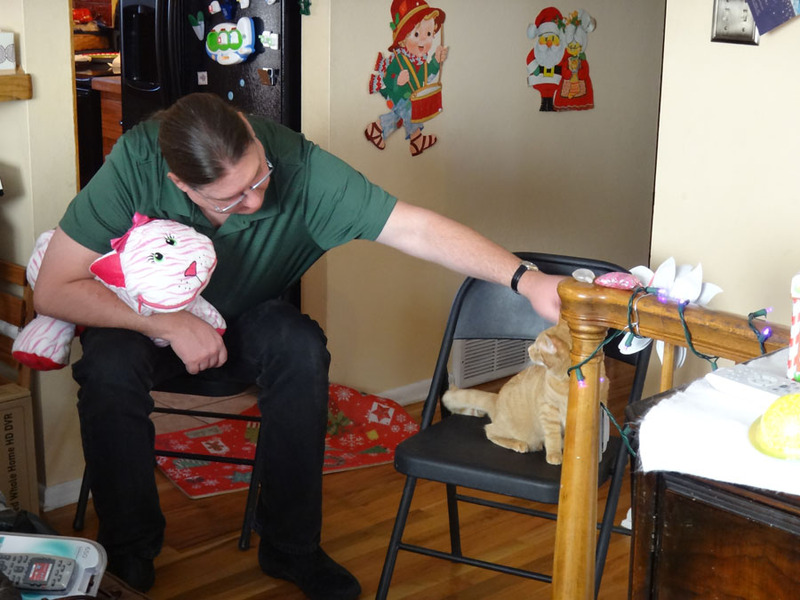 Peaches visits Mike, maybe to comfort him, since he wasn't feeling well. 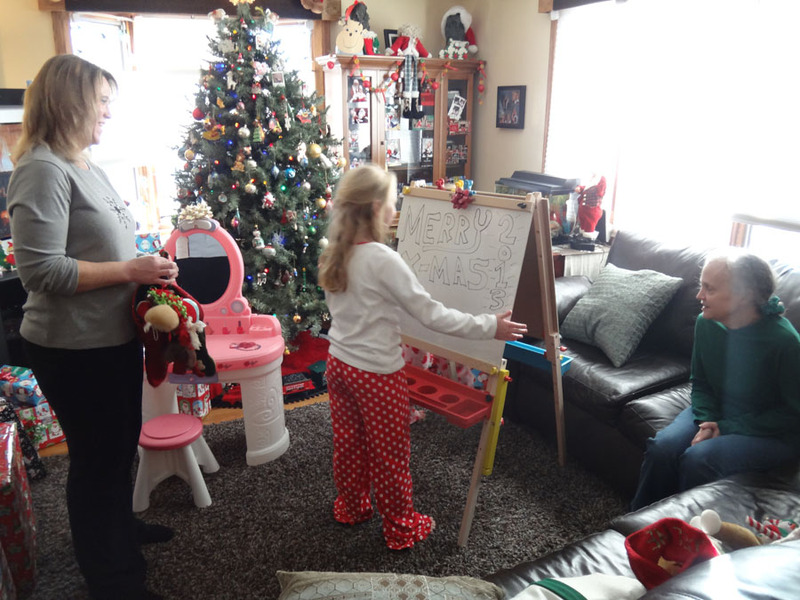 Rob brings a Wii system for the girls.